A new showcase for those whose talents fall into the category of spoken word is starting soon, and it’s destined for great things. Presented by Clear Water Comedy and hosted at The Plus, Loud Secrets Open Mic will begin on Feb. 4. For those interested in performing, sign up will kick off at 7pm, and the show itself will begin at 7:30pm. This is the time for poets, comics, and storytellers to show off what they’ve got. The event is totally free and open to all ages (younger crowds, be warned for there will likely be some well-placed four-letter words throughout the show). Each speaker will be expected to have 5-10 minutes of material in order to help keep this a tight, well-functioning show. 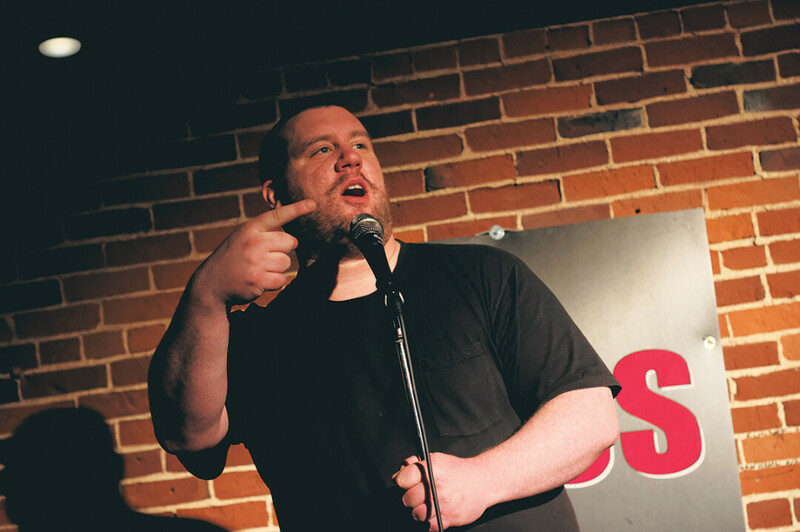 Cullen Ryan, founder of Clear Water Comedy and creator of Loud Secrets Open Mic, has committed to running three of these showcases on the first Monday of the next three months (Feb. 4, March 4, and April 1.) Depending on turn out and overall interest in the event, the show may become a fixture at The Plus. Ryan noticed that there needed to be another option for folks who are frankly too tired to stay out until 10pm on Tuesdays, which is when non-musical performers take the regular open mic stage at The Plus. According to Cullen, Loud Secrets will be “a more focused way for artists to get together and talk about each other’s work.” This will be a social endeavor, so plan to stick around and watch others share their thoughts with the audience. Unaware of any other event like this in Eau Claire, Cullen hopes Loud Secrets will help strengthen talent and build a stronger community. Clear Water Comedy and the Plus host this monthly showcase; an open mic for spoken word works like stand up comedy, poetry, live readings, improv, storytelling, and more. Sign up begins at 7pm, and showtime promptly at 7:30pm.